Are you wondering how to prepare for careers of the future? Do you have a pioneering mindset? Do you like to work and study in an international environment in one of the oldest university cities in the Netherlands? 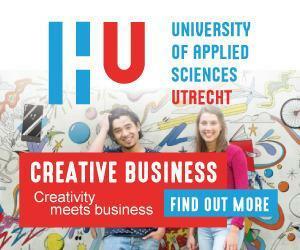 Check out our state of the art international BA programme Creative Business at the Utrecht University of Applied Sciences. Our curriculum trains you for international careers at organizations with a creative core, from vintage to start-up to scale-up. These businesses are looking for bright, innovative, enthusiastic and well-organised people to join their team and to propel their commercial potential. We focus on the latest developments in international marketing, media and communication. We equip you with a blend of professional skills highly desired by employers in the creative industries, such as advertising, media and entertainment, design, music, publishing, gaming, fashion and IT. Our graduates end up in a wide range of organisations from commercial to non-profit and from global innovators to disruptive scale-ups. Along the way you learn how to manage the commercial power of creativity, to think strategically and conceptually, and to find innovative ways to solve the challenges of today’s international creative businesses. Our integrative and multidisciplinary approach is oriented towards the needs of future or current jobs in the Creative Business field: creative strategist, growth hacker, online and social media marketer, brand strategist, (sub)culture researcher, data storyteller, content manager, (eco)system thinker, design thinker, consumer insights manager, experience officer, human centered bot developer and global marketer. 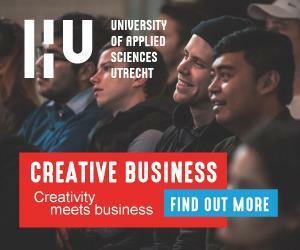 Successful Creative Business graduates display exceptional skills to optimize experiences in the broadest sense. They demonstrate high-quality work, are passionate about their area of specialization and demonstrate a clear point-of-view relating to their work. They are team-oriented and can be part of a collaborative culture. Successful Creative Business students can work well with others while being self-directed and they thrive in ambiguity. Creativity meets business: solid grounding in marketing, communication, media and business theory, plus the ability to apply this knowledge to real-life cases from international creative business. Global flexibility: from day one you work in cross-cultural international teams, on cross-border projects. 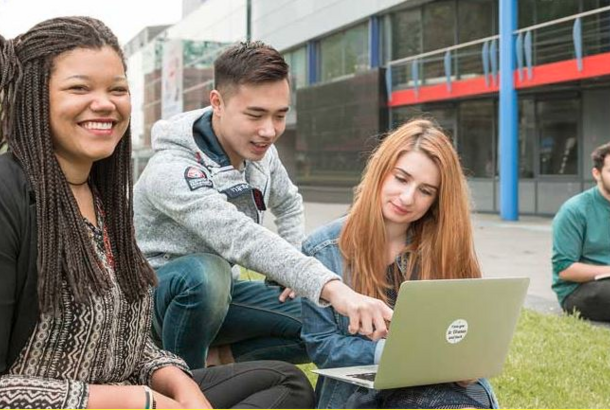 Global community: Not only do your fellow students come from all over the world, but your tutors represent at least fifteen different nationalities and you spend at least one semester of the programme working or studying abroad. Teaching material featuring real-life cases from the international creative industry and other sectors. Outstanding job prospects: we help you to create your own personal brand through a choice of elective courses beginning in the second year. You acquire the skills needed to become a flexible and creative forward thinker with an entrepreneurial attitude, analytical abilities and collaborative competences. Creative Business prepares you for jobs of the future, not of last decade. We prepare and train you for global flexibility in creative business. From day one you will work in cross-cultural international teams, on cross-border projects. For example, you might learn to write a marketing plan, bring an American disruptive product or brand to the European market or introduce a European innovation to Africa and the Middle East. Not only do your fellow students come from all over the world, but your tutors represent at least fifteen different nationalities. You can spend at least one semester of the programme working or studying abroad. Our international team consist of top-quality researchers with a PhD and experienced lecturers from the international Creative Business field. The clients you will work for come from all parts of the world including Europe, Australia, South-Africa, the Middle-East and North-Africa. You will become part of a truly global network. Creative Business allows you to build your own professional profile and personal brand by creating your own learning paths and goals based on your particular needs, interests and background. On top of that our most talented students get the opportunity to excel even more in the honours programme. Great Scholarships and Grants for students from outside the European Economic Area (EEA). A-Rated student city with excellent facilities for student life. Utrecht is safe, has a high population of students and is home to world-class music and film festivals, modern architecture, trendy shops and interesting museums. Lecturers from over 17 different nationalities and students from over 50 different nationalities. A unique programme: opt for the future and learn how communication, marketing and media are changing businesses and the world. International network: HU supports your ambitions. Our lecturers will tutor and assist you in making the most of this international study. Modern campus: Utrecht Science Park is a modern university campus located close to the heart of the city. Restaurants and cafés are concentrated in the central area around the university library, which is about five minutes’ walk from the HU buildings. Students with disabilities:The facilities for students with disabilities at HU University of Applied Sciences Utrecht comply fully with the standards laid down by the Dutch Council for the Disabled. How to apply to the program? Students who apply to the international Bachelor’s programmes must have a secondary school diploma at a sufficient level (comparable to the Dutch havo-diploma). A student is eligible to enrol in HU’s international Bachelor’s programmes when holding one of the following diplomas. All international students must prove that they have proficient writing and conversation skills in English. Students may choose between IELTS and TOEFL. Visit HU’s website for more information about language requirements. "Utrecht is my favourite city! The best about the CB-programme is the way it all fits together. In the first year I learnt new skills such as design, marketing and research skills. In the second and third year I got the chance to use those skills in real projects and during an internship. The final year has really been a test of everything I have done in the past three years. Of all the cities in the Netherlands, Utrecht is my favourite. I've been here for 4 years and there's still so much to do and see! It really is a very lively student city where people are always open to make new friends. Also, Utrecht is very central located in the Netherlands and therefore everything is so close by that going away for a day is easy. You can visit almost every corner of the Netherlands… Or Germany, France and Belgium!"